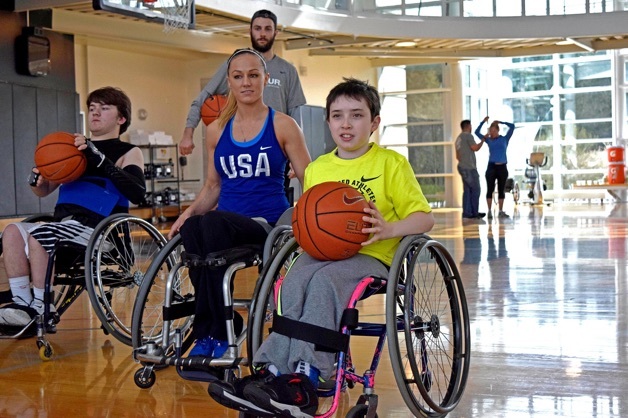 CAF strives to connect and develop long-term relationships with corporate partners, private foundations and other funders who share our commitment to improving the lives of others through sports and physical fitness. The phrase “Challenge Accepted” is a mantra that resonates with many in the CAF community. In saying yes to the rewarding challenge of partnering with CAF, you become part of our team. Together, we work to change lives, and perceptions, by empowering those with physical challenges through opportunities and hope. You become the reason that someone else comes alive through sport and physical activity. CAF partners with organizations in a variety of creative ways; event sponsorships, program funding, corporate initiatives, content creation, brand and product partnerships. When a corporate culture is ingrained with the CAF mission, everyone is impacted by the remarkable stories of hard work, strength and perseverance. It’s a motivating force to do more, be more, and give more. Because of our dedicated partners, someone else gets to feel the power of a piece of equipment, the exhilaration of crossing a finish line and the unparalleled satisfaction of accomplishing the impossible. Powered by our long-standing partnership with CAF and Össur, we’re able to bring inspiration and innovation to even more athletes. 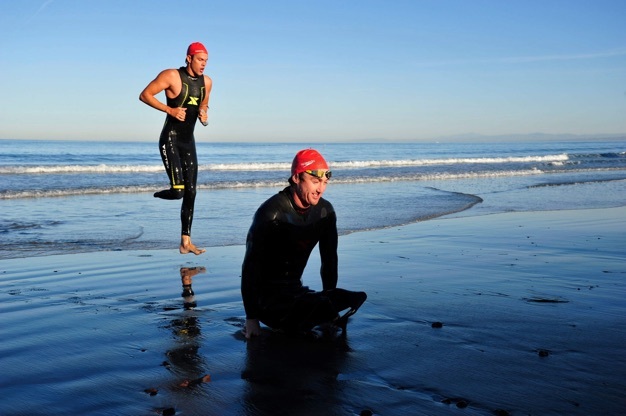 As a longtime partner of the San Diego Triathlon Challenge, the CAF Elite Team and the Operation Rebound program, we also want to support the TEAM CAF community with the best wetsuit deals to be found. 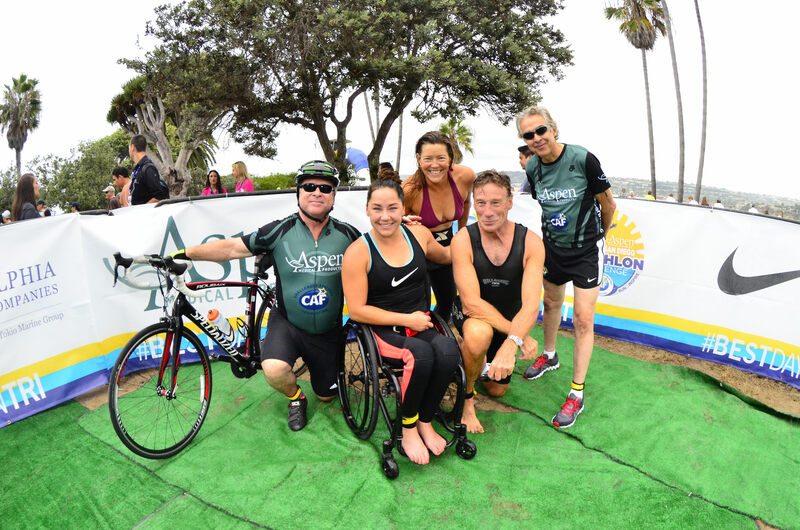 The day after IRONMAN 70.3 Oceanside, 40 athletes including the race’s male champion Lionel Sanders and 6X IRONMAN World Champion Dave Scott volunteered for the IRONMAN Foundation 2017 Junior Seau Foundation Adaptive Youth Surf Clinic presented by Challenged Athletes Foundation. 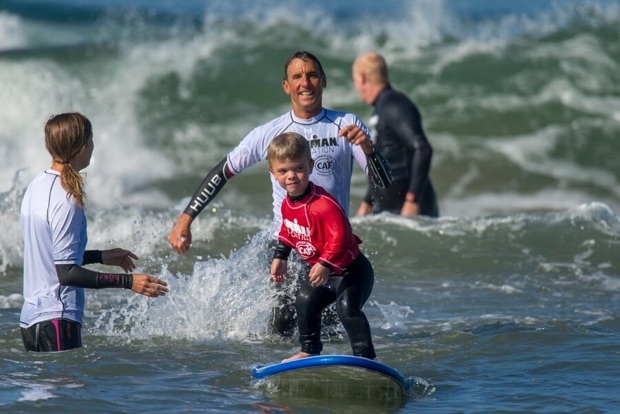 20 children with physical challenges learned to paddle, surf and catch some waves. To meet the kids and their families, learn their stories and watch them conquer the surf without fear was a day that left us forever changed. The IRONMAN Foundation is honored to support the inspiring work of CAF and grateful for the opportunity to provide our IRONMAN athletes with a life-changing experience with these young heroes. These invaluable partners have demonstrated a wholistic dedication to CAF’s mission, forever impacting the lives of challenged athletes today and future generations to come. In addition to contributing at the highest level of financial support, they support with countless volunteer hours, event participation, challenged athlete speaking engagements, and promotion of our athletes and the cause both internally and externally. Through their significant financial contribution and commitment of time and resources, these life changing partners have helped thousands of people with physical challenges thrive in the sports they love. Their financial commitment plus activation support bring CAF’s mission to life in innovative ways. Partner support at every level is critical to ensure CAF events thrive each year. These funds and product donations underwrite costs and support silent auctions so that fundraising dollars go straight to making a difference in the lives of more and more challenged athletes around the world.